The Boy Scouts of America (BSA) is one of the largest youth organizations in the United States, with over four million youth members. Since its founding in 1910, more than 110 million Americans have been members of the BSA. The goal of the BSA is to train youth in responsible citizenship, character development, and self-reliance through participation in a wide range of outdoor activities, and educational programs. This year marks 100 years since the organization of the Boy Scouts of America. Boy Scouts prepares young men for missions which is why the LDS Church has been partnering with the Scouts from nearly the beginning. “The Church of Jesus Christ of Latter-day Saints formally affiliated with the Scouting movement in the United States in May of 1913 as its first institutional sponsor, and today sponsors more Scouts and Scouting units in the United States than any other organization…By providing opportunities for boys and young men to put into practice the gospel lessons they learn in the home and at Church, Scouting programs have supported the priesthood. The Church continues to follow the programs of the Boy Scouts of America to help its young men 12 to 18 years of age as they magnify their callings in the priesthood. Scouting helps young men develop desirable character traits, citizenship, and physical and mental fitness. The Scouting program teaches young men how to rely on themselves, serve and lead others, prepare for emergencies, conserve natural resources, and become actively involved in community, school, and Church service projects. I enjoyed Scouts from an early age and set a goal for myself to earn my Eagle Scout, the highest rank in Boy Scouts. I was blessed with good parents that not only supported me, but helped guide me through the Scouting program. The perseverance and hard work it took for me to earn the Eagle rank was well worth it and prepared me for the perseverance and hard work needed to be a good missionary for the Lord. I know participating in Scouts and working toward the Eagle rank will help young men in the Church be better prepared when they arrive in the mission field. 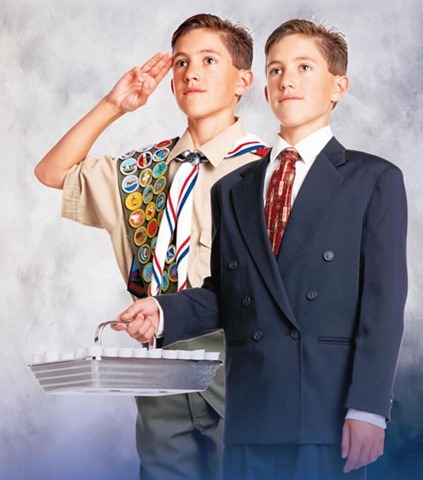 “We desire all young men to strive to earn the Eagle Scout and Duty to God Awards… As youth work on these goals, they will develop skills and attributes that will lead them to the temple and prepare them for a lifetime of service to their families and the Lord” (First Presidency letter on Strengthening Youth, Sept. 28, 2001). “The Aaronic Priesthood prepares boys for manhood and the weightier duties of the Melchizedek Priesthood. Scouting helps our boys to walk uprightly the priesthood path to exaltation… To all the Aaronic Priesthood assembled tonight with your fathers and your leaders, the priesthood program of the Church, with its accompanying activities, including Scouting, will help and not hinder you as you journey through life” (President Thomas S. Monson, Ensign, Nov. 1993, 48–50). “Brethren, if ever there were a time when the principles of Scouting were vitally needed—that time is now. If ever there were a generation who would benefit by keeping physically strong, mentally awake, and morally straight—that generation is the present generation” (Ensign, Nov. 1991, 47). “I love the Scouting movement. The promise of the Scout Oath and the twelve points of the Scout Law point young men along the path of being prepared for the 21st century. They provide a solid and powerful magnetic force toward development of a well-rounded and noteworthy character that counts. If every boy in America knew and observed the Scout Oath, we would do away with most of the jails and prisons in this country. If each of us would live up to those few words, ‘On my honor, I will do my best,’ whether it be in school, whether it be in our social life, whether it be in our business or professional life, if I will do my very best, success and happiness will be mine” (Boy Scout Jamboral, Fillmore, Utah, Sept. 27, 1996). “Young men, take full advantage of the Church programs. Set your goals to attain excellence in the achievement programs of the Church. Earn the Duty to God Award—one of our most significant priesthood awards. Become an Eagle Scout. Do not settle for mediocrity in the great Scouting program of the Church. . . .
“Give me a young man who has kept himself morally clean and has faithfully attended his Church meetings. 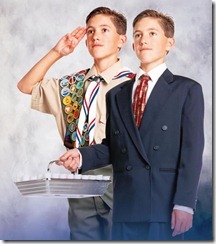 Give me a young man who has magnified his priesthood and has earned the Duty to God Award and is an Eagle Scout. 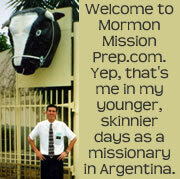 Give me a young man who is a seminary graduate and has a burning testimony of the Book of Mormon. Give me such a young man, and I will give you a young man who can perform miracles for the Lord in the mission field and throughout his life” (Ensign, May 1986, 44–45). “It is vital that you [thousands of Latter-day Saint Scouts participating in the 2001 National Jamboree] march the path from Tenderfoot to Eagle Scout and continue on to serve a full‑time mission. 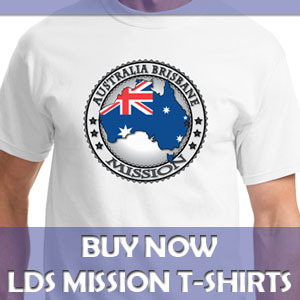 You have to stretch to prepare to be a full‑time missionary. Scouting will help in the stretching . . . especially attending a sacrament meeting in the pouring rain like at this National Jamboree” (2001 National Jamboree). “The bishop’s most positive impact on youth comes in informal settings, activities, Scouting, service projects, athletics—real‑life settings where they get to know him as a man…Scouting provides a tested, proven program for us to use in holding our young men close to the Church. It appeals to boys. Its trail to the Eagle rank helps a young man set worthwhile goals, then realize them. For some reason there is a direct correlation between young men who achieve the Eagle rank and those who serve missions.” (Ensign, Nov. 1982, 39–40). The group had been traveling in a van stopped at I17 and Jomax Road. are soothing and can help make any scars fade.